Guests at Rhythm! 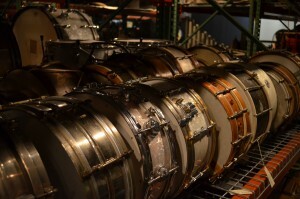 Discovery Center have the chance to explore the extensive and unparalleled collection of the world’s foremost percussion museum by going “Behind the Glass.” Join us for a private tour of our collection storage space where we house hundreds of rare and unique percussion instruments, many of which are not available for public viewing. 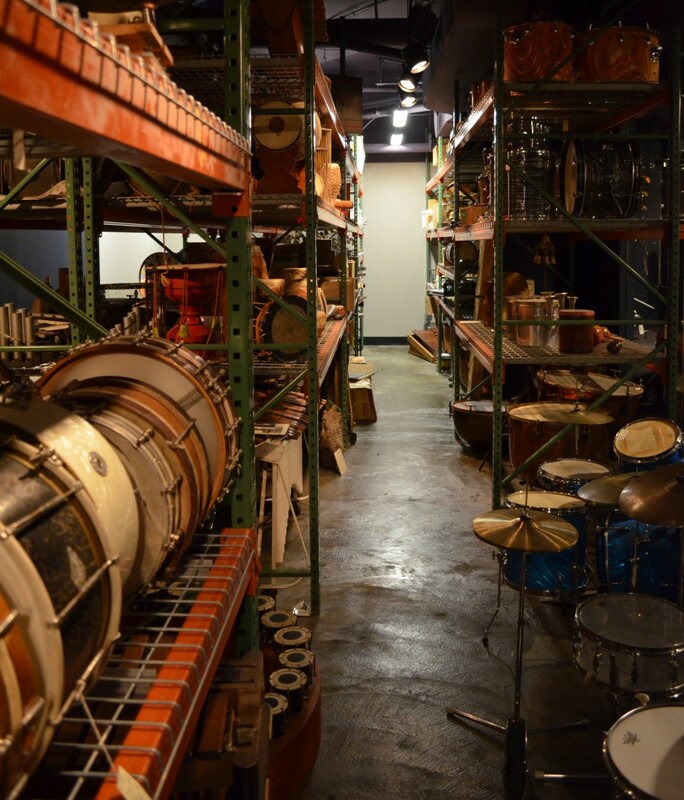 Tours begin with a visit to Rhythm!’s newest exhibits, and then guests journey back “Behind the Glass” to explore the collections storage space, and view unique objects that contribute to percussion’s rich global history. How much does a Behind the Glass Tour cost? Tours are $25 for general public and $20 for Rhythm! 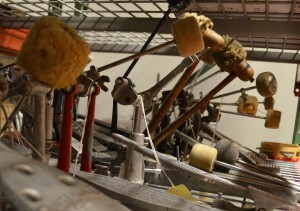 Discovery Center or Percussive Arts Society members. For membership information, click here. How many people may be in a tour? Tours may have a maximum of 5 people. If a larger group is requesting a tour, they may be broken up into separate groups and given consecutive tours. What days are tours available? Tours may be booked between 10:00 am and 3:00 pm Monday through Saturday. Tours are available after hours for an additional charge and availability is limited. For more information, please contact our Museum Manager. How do we book our tour? 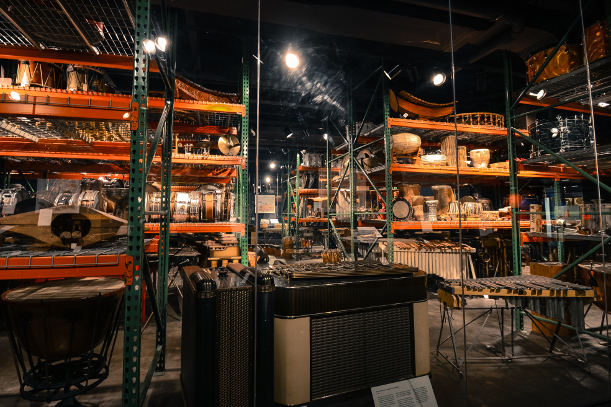 To book a group, contact our Museum Manager at (317) 275-9030 or rhythm@pas.org. If contacting via email, please include the date(s) you would like to book, the number of people, and the group organizer’s name, email address and phone number. Tours must be booked at least one week in advance. This tour was created for audiences 14 and older, however children 13 and younger are welcome to be a part of our Behind the Glass Tour, but must be accompanied by a parent or guardian at all times. Why are tours capped at five people? For the safety of the objects and best possible guest experience we can accommodate five people per tour. We also ask that guests leave large bags and cameras at the front desk where a staff member will store them in a secure location.